Aka how to avoid a summer spot fest if you have oily skin. 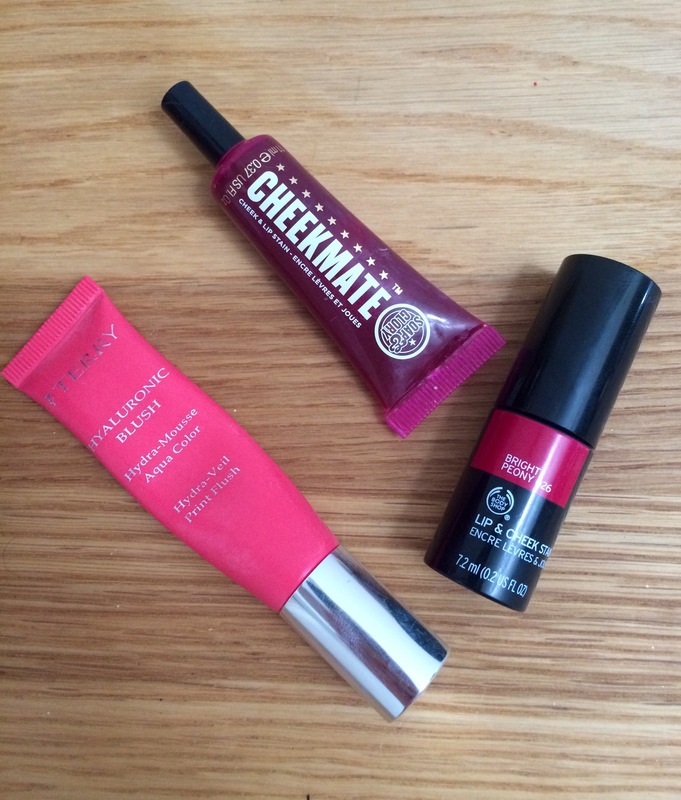 Aka A few handy products and tips to keep us looking fine in the makeup melting summer heat. Hairstyling– Keep it simple. Blow drying and straightening are highly swear inducing. Maybe stick to a pony tail or messy bun. Keeping your hair off your face is best if you get spots on your forehead, it could be from the oils and chemicals in hair products. Prep– you need a clean toned face to begin with. For all the good it does me on a hot day, it’s oil central after 10 minutes. If you’re oily or combination don’t over moisturise. Definitely use eye cream. Choose a moisturiser designed for oily skin, such as Effaclar Duo by La Roche De Posay. Its light and Mattifying and has ingredients that fight acne. Sun Cream- I’m starting to think that sun cream is the source of my woes, sadly. It’s so important to protect skin from UV radiation. I posted recently about Soltan Dry Touch. I had a major break out after using it, even though it’s meant to be non comedogenic. 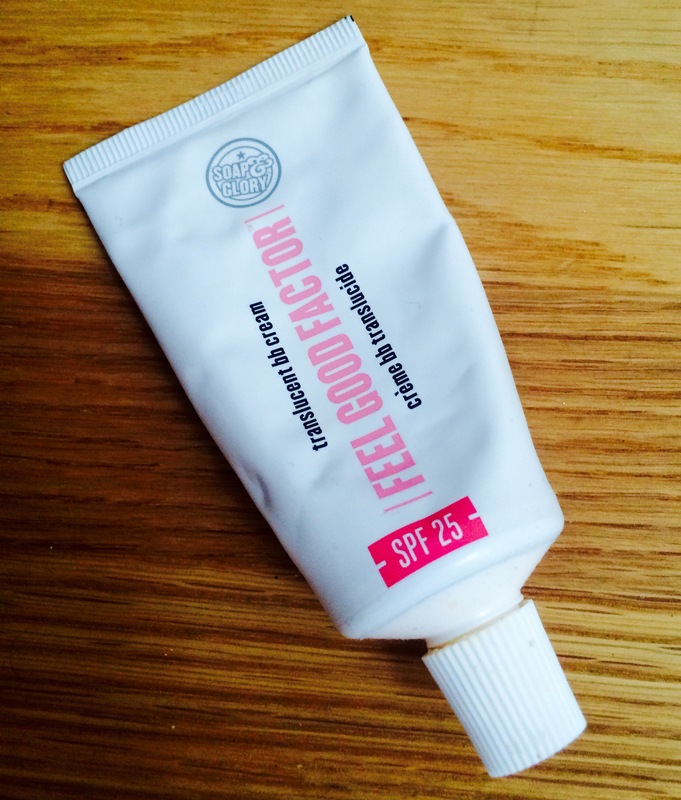 I’ve switched to Soap and Glory’s Feel Good Factor. It’s lighter than other sunscreens and hasn’t broken me out, yet. Foundation- There are two ways you can go with foundation in the summer- leave it out completely or use a long lasting product. I vary between the two. For barely there days I use blemish balm e.g. 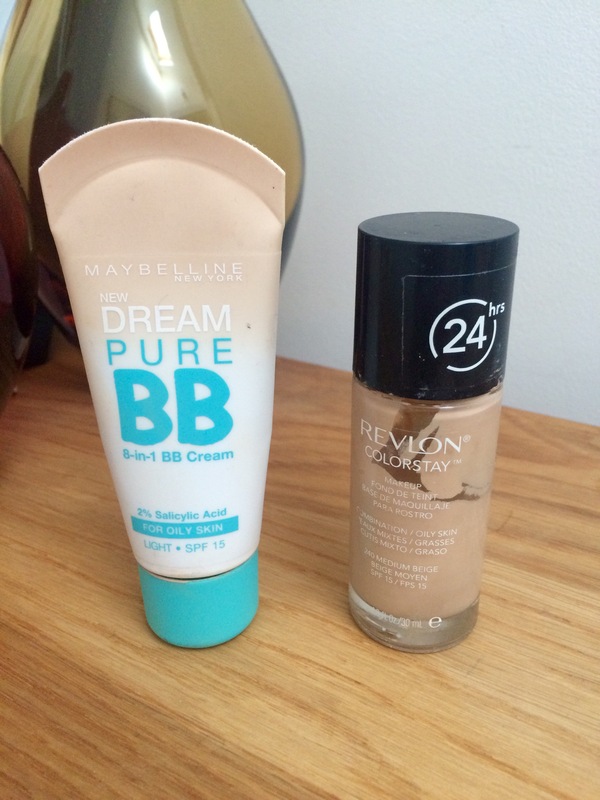 Maybelline’s Dream Pure BB, concealer and powder. If I need a bit more coverage I go for a foundation designed to last all day, like Estée Lauder’s Double Wear or Revlon’s Colourstay. These tend to be heavier than other foundations. You could even mix in a bit of primer to lighten things up. 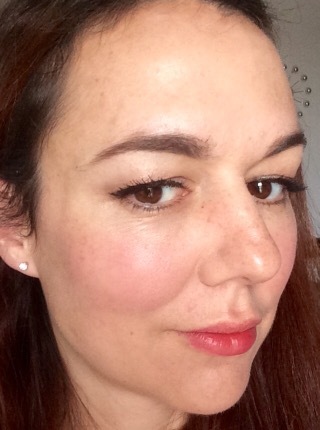 Cheeks- At the moment I’m ditching powder blush all together. 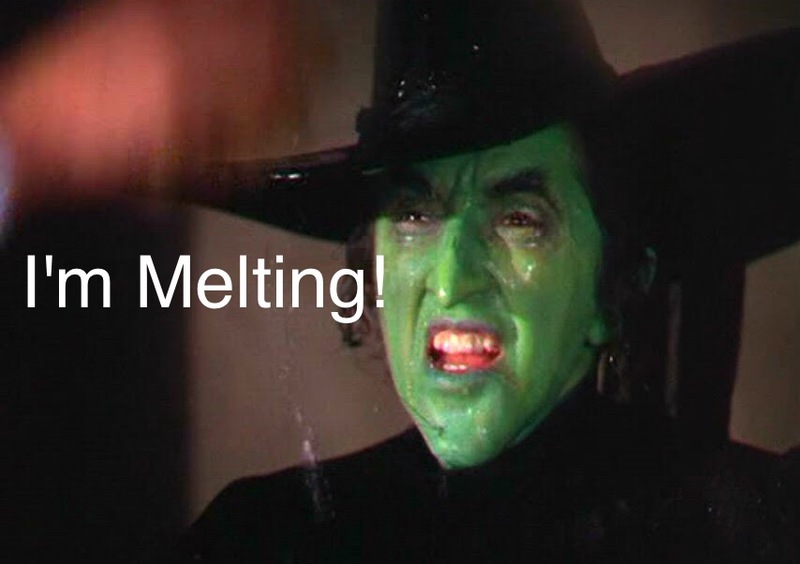 I find it wears in an uneven fashion in the heat. I like the staying power of stains and they work really well when applied before foundation. It looks more natural that way. These stains by Body Shop, Soap and Glory and By Terry are great. Eyes- For me, the eyes are the most melt-tastic area of the face. I’ve just done a post on A Great Mascara Choice for Oily Lids, so I won’t go into that. The rest of the eye makeup needs a different attack method in the heat. Eyeshadow primer is necessary, sorry to throw yet another step at you but it really helps. Nars Pro Prime and Urban Decay Eyeshadow Potion in Eden are excellent. I’m enjoying the staying power of Maybelline’s Colour Tattoo. It’s cheap at £5 and comes in a range of colours, it’s good on its own or with powder on top. I think liquid liner is a good choice for hot weather, it’s less likely to smudge than pencil. Try Tattoo Me by Seventeen. Brows- For brows that won’t budge try using a pomade instead of powder or pencil. 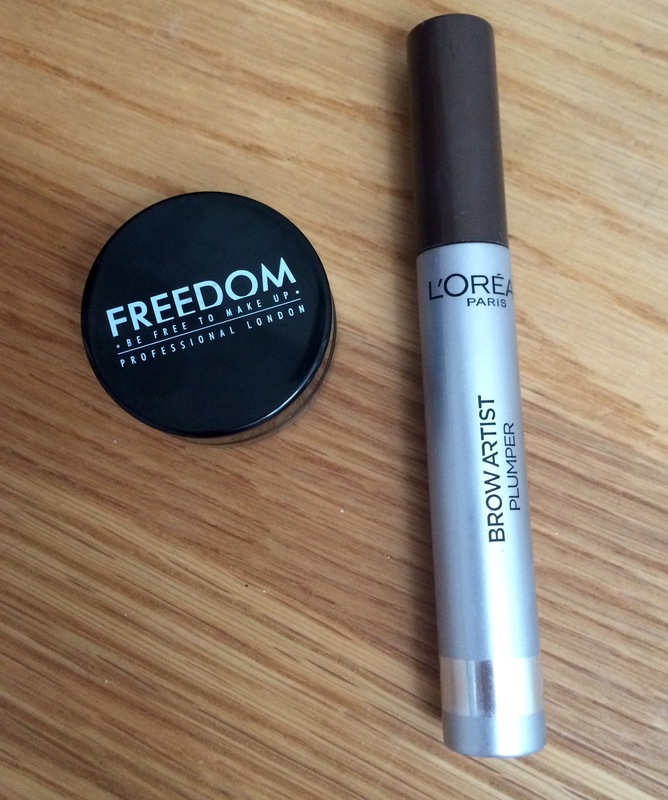 I’m using Freedoms Brow Pomade and setting with L’Oreal’s Brow Plumper. 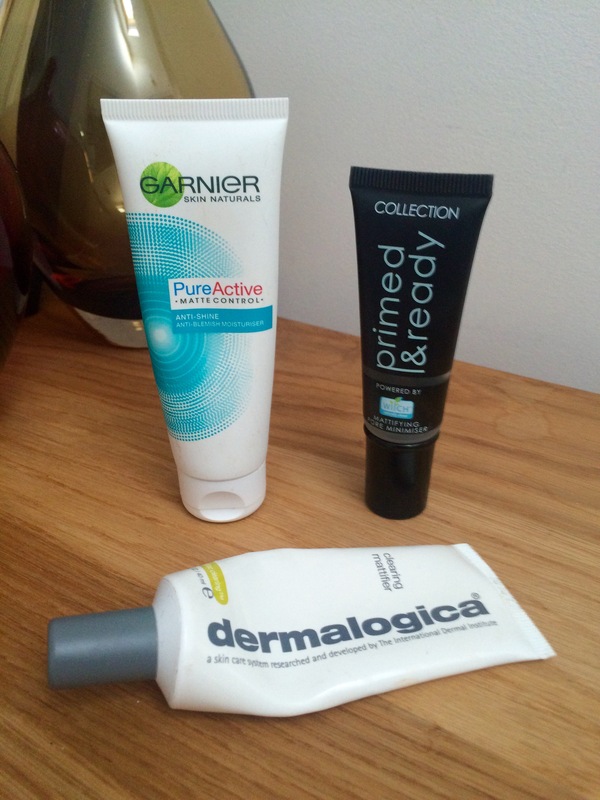 That’s my round up of skincare and makeup for hot weather. Most of the time I still end up looking a shiny mess but with these products there’s half a chance my makeup will remain intact. Previous Post Bourjois 123 perfect CC Eye Cream| The Under Eye Concealer That Does It All! Sunscreen is my issue too! I look like a spotty teenager on the best of days but add sunscreen into the mix and I look like one giant walking pimple! I’ll be keeping an eye out for that sunscreen you mentioned! Great post. 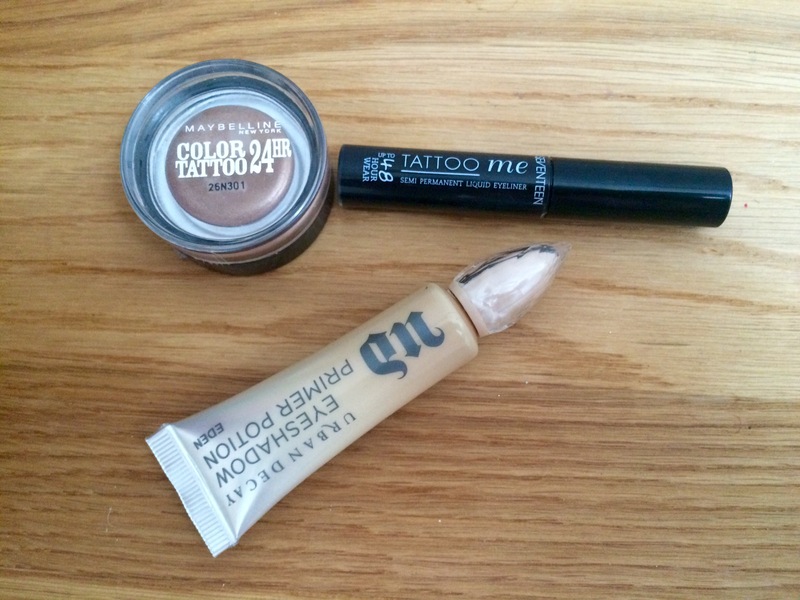 Even I love Maybelline color tattoo they are great and I carry them in my purse. You never know when you need it. Thanks for the post.